Contract by which a natural person, the employee, undertakes, for a limited time and for remuneration, to do work under the direction or control of another person, the employer. 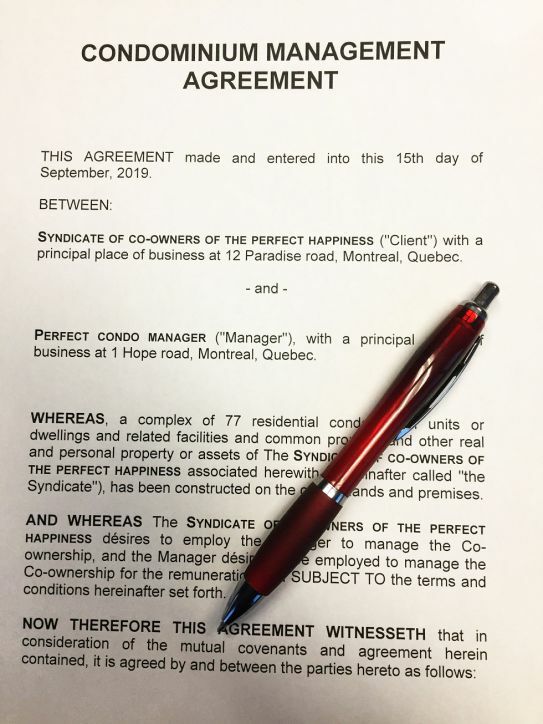 The qualification of the contractual relationship between the syndicate and the condo manager is of paramount importance since the rules of termination are not the same, whether it is a contract for services or a contract of employment. In most cases, a person working on a regular basis for the co-ownership is deemed to be an employee governed by a "contract of employment", and not an independent contractor. 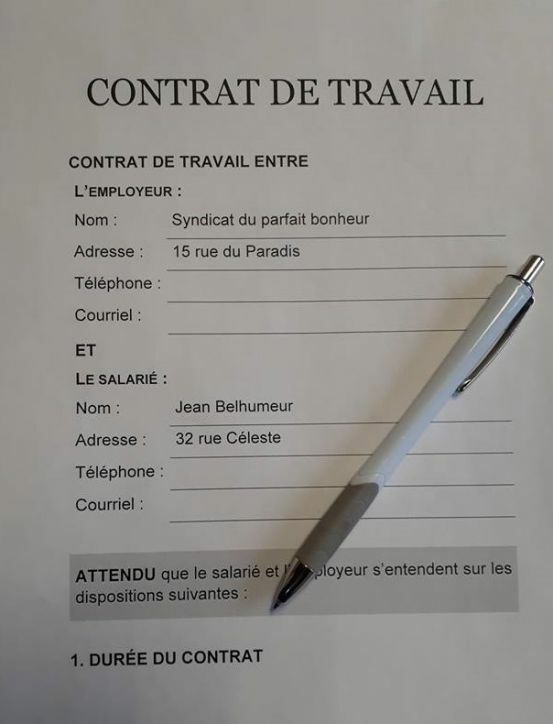 Article 2085 of the Civil Code of Québec defines the "contract of employment" as a contract, verbal or written, by which a person, the employee, undertakes, for a limited time and for remuneration, to do work under the direction or control of another person, the employer. The work of the condo manager is not governed by Law. As a general rule, it is up to the board of directors to set the guidelines of the management contract, according to the size and characteristics of the co-ownership. As for the terms and conditions of appointment and replacement of the manager, they are generally provided in the constituting act of the declaration of co-ownership. Although there is no provision of the law requiring a written contract with the manager, it is strongly recommended that one be executed. This document is essential to the sound management of a co-ownership. It will avoid misunderstandings on the nature of the services to be rendered, as well as their financial terms and conditions of execution. Essentially, there are two types of contractual arrangements between a syndicate of co-owners and a manager: the contract of employment and the contract for services. Le concierge de votre copropriété : salarié ou travailleur autonome? Co-ownership staff management involves several duties and obligations. 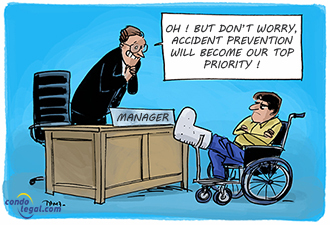 Whether towards the janitor, security personnel or gardener, it implies financial and managerial issues. In managing staff, one must take into account the following elements: recruitment, remuneration, employee performance evaluation, training and occupational health and safety. It must therefore be done rigorously. A syndicate of co-owners can sometimes evolve into a small and medium size enterprise, an SME. Even more so if it assigns personnel to the various common portions maintenance chores of the immovable. Yet, people hired by a syndicate have rights. In fact, their prerogatives are the same as those in force in the labor market. It is better to be aware of them and to understand the consequences.